The Implicit Priming Test designed by CoolTool is a technology for capturing and identifying the unconscious reactions to external stimuli. It’s a fully automated test that allows anybody (not only professional researchers) to determine people's preferences, stereotypes, and prejudices. You may have already come across such abbreviations as IAT (Implicit Association Test), IRT (Implicit Reaction Time test), SPT (Semantic Priming Task) as well as such notions as priming test, implicit memory, implicit attitude, etc. The Implicit Priming Test (IPT) by CoolTool* was designed as the improved version of the understandable SPT and the sophisticated IAT. It is a new technology for capturing and identifying the unconscious reactions to external stimuli: persons, brands, products. The IPT is a fully automated test that allows anybody (not only professional researchers) to determine people's preferences, stereotypes, and prejudices. People can associate a brand or person with negativity even without being actively aware of it. While participating in surveys people may say they like it (because they think they like it). But in the real world, they wouldn't buy or use the brand. The reason for such behavior is hidden in the subconscious. Research showed that when we unconsciously agree with something, we respond within milliseconds. And if something contradicts our perception of things, we need time to think of the answer. Our automated IPT is built on this fact. The system compares the speed of response provision with the combination of objects and various characteristics to conclude which attribute (reliable, stylish, desirable, expensive, etc.) is associated more with Object A or Object B. The IPT allows marketers, researchers, and brand advertisers to find out if consumers' perception of the brand is different from the company's positioning of it. It will help them to create "correct" messages for their audience and differentiate the product from competitors. The brand image consists of rational and emotional attributes. As we know, our emotions sometimes can influence us more than our conscious mind. The IPT is able to measure which feelings people have towards look-alike things: one candidate in comparison with others, a chocolate bar with sugar and sugarless one, a local bank in comparison with an international one, etc. The Implicit Priming Test also suits when there is a high risk of false information being provided or the intentional concealing of real thoughts and opinions by respondents, or when there is an assumption that respondents have biased attitudes to the tested object. IPT allows you to find out hidden attitudes towards many things: politicians, celebrities, TV presenters, actors, brands’ names, logos, symbols, color patterns, products’ names, packaging, international images of countries, etc. But it’s necessary to remember one thing. All the tested objects should be under the same conditions: you cannot test well-known and unknown objects together. The Implicit Priming Test is a subset of IRT approach (Implicit Reaction Time) that combines elements of the Semantic Priming Task and the Implicit Association Test. 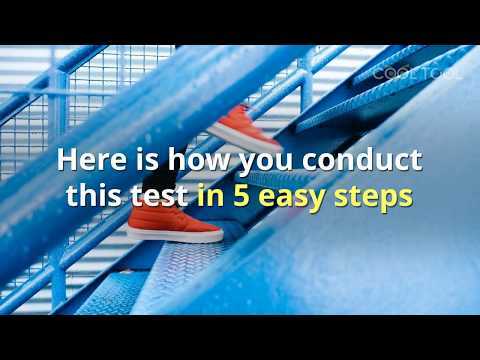 Semantic Priming Task – an easy to conduct, flexible test but with too simple a methodology. It gives only superficial conclusions about the preferences of respondents. At the same time, Implicit Association Test gives excellent results but too 'scientific' a methodology. It takes a lot of time and can make respondents tired. •	it allows you to segment the audience in the report according to their attitude towards the objects. IPT allows you to find consumers insights at a deep, subconscious level to predict their behavior more accurately than ever. It also is a part of NeuroLab and can be used in the combination with other neuromarketing tools. Define who or what is real "people’s choice." 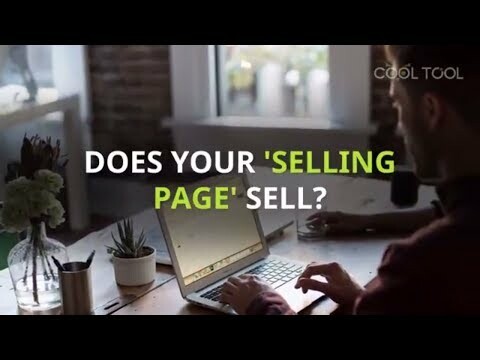 * CoolTool is the technology company that provides a platform to automate neuromarketing research process. 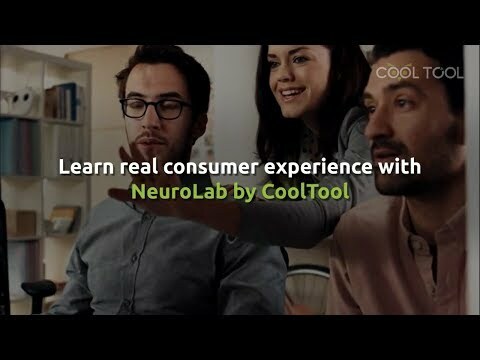 *NeuroLab by CoolTool is a comprehensive solution for research agencies and usability labs, which includes Eye Tracking, Emotion Measurement, EEG: brain activity, Mouse Tracking, Implicit Priming Test, and Surveys, which can be used separately or together. It’s applicable for the testing of video, printed or digital advertising, website usability, product packaging, design, brand image and product shelf placement. *Implicit Priming Test is a subset of IRT approach (Implicit Reaction Time) that combines elements of the Semantic Priming Task and the Implicit Association Test. This type of test helps to understand respondents’ real attitude to the tested objects by comparing the speed of response provision with the combination of objects and various statements or characteristics. Disclaimer: If you have any questions regarding information in this press release please contact the company added in the press release. Please do not contact PR4US. We will not be able to assist you. PR4US disclaims the content included in this release. Edition 6: Neuromarketing for Retailers. 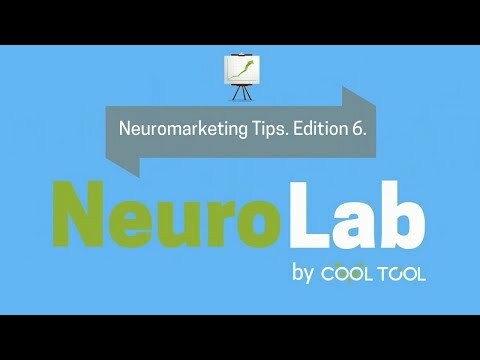 5 Cool NeuroLab Facts and Tips in 1 minute. Public Relations Strategy in Our World Today!